Bounce Rate vs. Exit Rate: What's the Difference? Bounce Rate vs. Exit Rate: What’s the Difference? We spent a lot of time talking about bounce rates, but Google Analytics has another mysterious metric to offer: exit rates. Unfortunately, the two metrics are often misunderstood and used interchangeably, when it is their subtle differences that make them useful metrics. 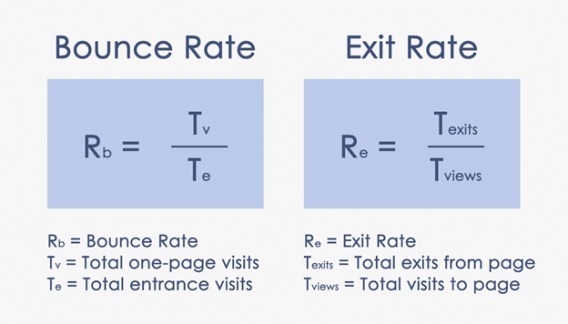 This article will walk you through the difference between bounce rate and exit rate, the importance of the two metrics, and how to reduce exit rate. In more human words, bounce rate is determined by calculating the number of bounces over the total number of pageviews to a page. 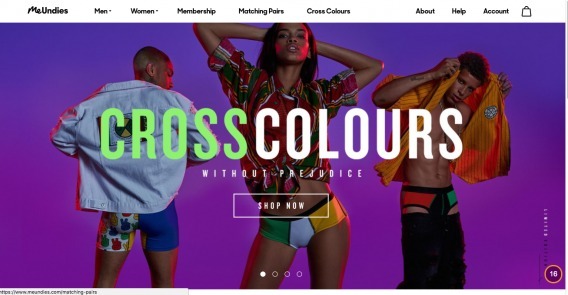 A bounce occurs whenever a user enters the page and subsequently exits without visiting another page on the website or interacting with any of the elements on the page (e.g. commenting). Exit rate, on the other hand, looks at the number of people who exit your website after landing on a page and compares it to the total number of views the page received. Unfortunately, Google’s definitions of these metrics make it very easy to confuse the two since they sound so similar. After all, the basic goal of these metrics is the same: calculate the percentage of people who leave a page after opening it. There is one significant difference. Exit rate is the percentage of visits that were the last in the session whereas bounce rate is the percentage of visits that were the only one of the session. 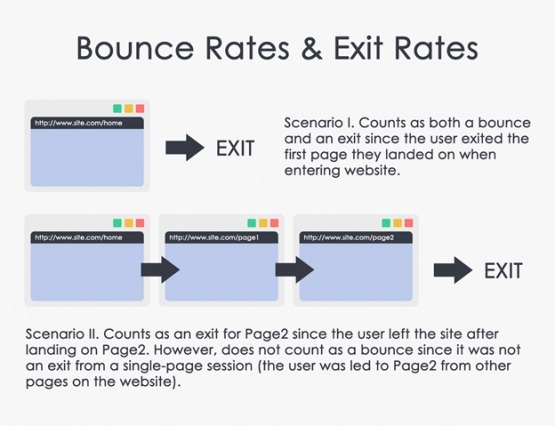 This means, bounces are only recorded if a user exits directly from the page they entered while exit rates are recorded regardless of a user’s prior activity on your website. Therefore, all bounces are exits but not all exits are bounces. To clarify the difference, we can consider a simple website with four pages: Home Page, Product Page, Confirmation Page, and Contact Us Page. We can imagine five different sessions to this website over the course of a week. Out of the above five sessions, there were only two bounces. Even though exits occurred on all five days, bounces occurred only on Monday and Thursday because those were the only two days where the visitor exited as soon as they entered the site. On every other day, the visitor visited at least two pages before exiting. For these five sessions, the following Google Analytics report would be produced. Therefore, a high exit rate doesn’t necessarily equate to a high bounce rate since users might have landed on the page from somewhere else on the site. Similarly, a low bounce rate does not mean a low exit rate since bounce rate doesn’t account for most exits, only those that occur on the first page the user lands on. Always remember that exits can be more than one-page visits while bounces are always one-page visits. Which metric is more important? The thing about bounce rate and exit rate is that they sound extremely useful in concept and in the abstract, but are difficult to interpret correctly. For example, average bounce rates don’t give you much actionable insight since some pages might benefit from higher bounce rates (e.g. contact information pages) and some types of website might be predisposed to higher bounce rates (e.g. blogs). Check out Bounce Rate Benchmarks: What is a Good Bounce Rate? for a more in-depth discussion of what baselines you should be shooting for. That being said, let’s go back to the original question: Which metric is more important? It should be unsurprising to you that both metrics are important depending on purpose. While a high bounce rate usually signals problems with user satisfaction – whether it be in context of content, site quality, loading speed, etc. 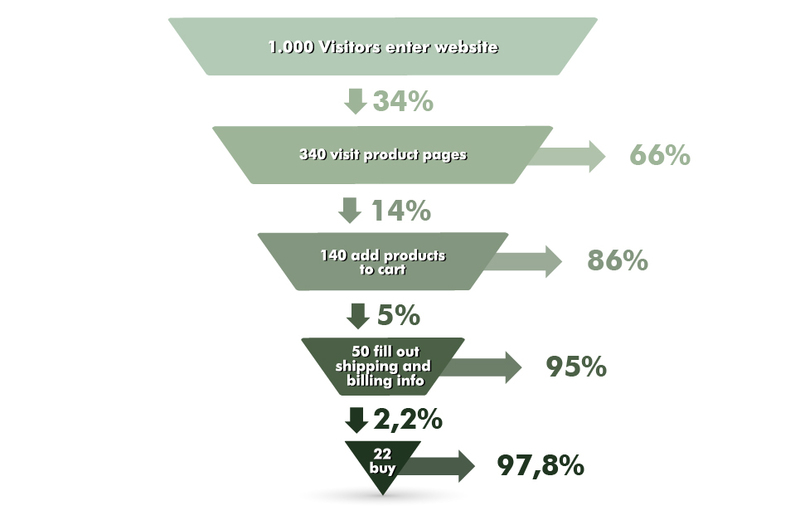 – a high exit rate usually signals problems in your conversion funnel. Therefore, you should choose the metric you optimize for based on the problem area you are trying to tackle. Let’s focus on exit rate for a second, though, since we have covered bounce rate extensively in other sections of this guide. There is reason to prefer exit rate in place of bounce rate when analyzing your website funnel and user journey. While bounce rate only records loss of users when users landed on that page directly, exit rate accounts for all exits. The following scenario helps clarify the implications of this difference. Most users will arrive at the site from the home page. 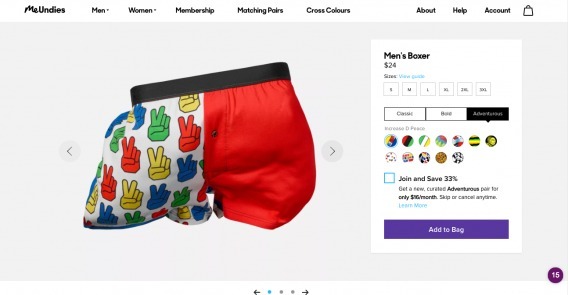 From here, they will then travel to a product page featuring an item they are interested in buying. Your exit rate here will reveal greater insights. If your exit rate is high on a page like this, it means something is wrong with either your product page or even the product itself that causes originally interested buyers to leave after checking out your product. Therefore, be cautious not to ignore exit rate in favor of bounce rate. How do you reduce exit rate? 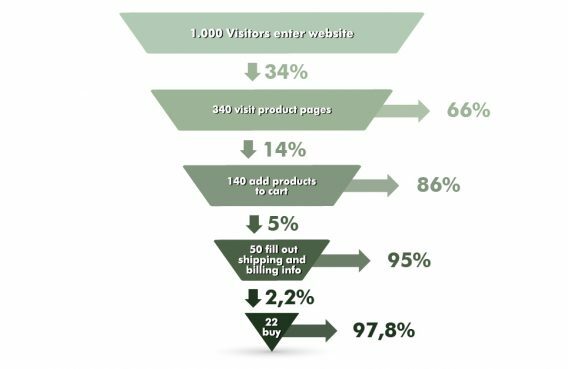 If your webpage has a high exit rate when the intent of the page is to push the user further down your conversion funnel (e.g. lead them to a different part of the website), you might want to make some adjustments. Second, you need to give your users a reason to stay. This doesn’t mean simply fixing navigation issues or site design. Rather, you might want to consider revisiting your conversion funnel. 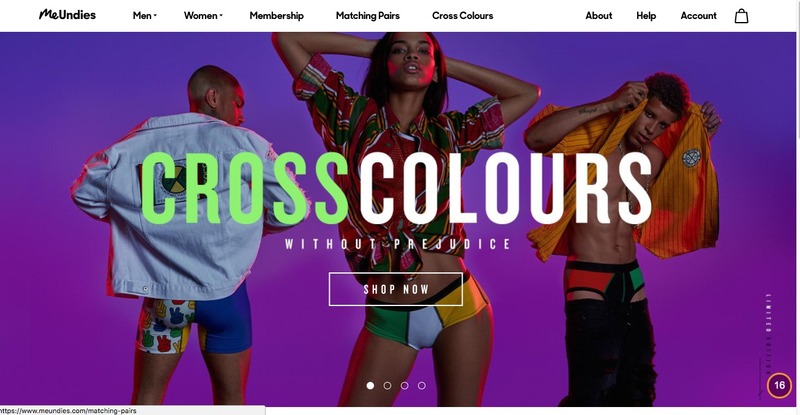 For example, it is typically accepted that eCommerce confirmation pages have high exit rates, but do they need to? Of course not. There is always room for improvement. For example, you might want to link related products the buyer might be interested in to guide them further down the funnel. Third, you may want to consider installing live-tracking and/or heat-mapping software to help you understand how users interact with your site, where they are clicking, and where their focus is. Software like Inspectlet, Hotjar, Clicktale, and FullStory are good places to start. In the end, which metric you use depends on the context of your analysis and your optimization goals. Do avoid, however, focusing on aggregate bounce rates and error rates. Instead, segment your data and target specific pages to find holes in your funnel and problematic areas. Lastly, consider exit rate within the context of your overall site structure and design. Pages that don’t lead to further clicks are often perfect spots for optimization. Since Google Analytics is far and away the most popular web analytics tool, it pays to know exactly how bounce rate is calculated in Google Analytics. Bounce Rate Benchmarks: What’s a Good Bounce Rate, Anyway? "What's a good bounce rate? "...common question, not a super clearcut answer. This piece will explore bounce rate benchmarks and give you a good baseline understanding of where you may stand. While most people think of bounce rates in terms of website analytics, email bounce rates are a thing, too. Now for the meat of the guide: how do we lower bounce rates? Does bounce rate affect SEO? Some say yes, some say no, but this article spits the truth of the matter.